Phillip was able to evolve our thinking from the old way of ‘stock it up as this will be required in the near future’ to a much more realistic way of viewing inventory, making the maintenance job easier and taking out costs – which is the overall objective of any business. Phillip Slater’s insight really makes him one of the leaders in the MRO information segment. I have received training from Phillip Slater and then implemented the Inventory Cash Release Process with excellent results. There is no doubt that Phillip is the global spare parts guru. We have used the services of Phillip to train maintenance, procurement, planning and warehouse personnel in spare parts management. It was his distinctive logical approach in setting spare parts holding levels that really won over the participants in the workshop. This was the first time that I’ve seen something that can be practically applied on a daily basis by almost anyone and without the need for expensive software. Phillip Slater used his Snapshot Review process to create a framework for improving our materials management. Using that framework and with Phillip’s assistance we defined and created policy documentation and processes. Phillip also assisted to train our team in the new processes across a large number of sites. Phillip’s input and guidance was key factor in helping us move from here we were to a greatly improved environment. We are pleased to have chosen Mr. Slater as winner of the 2012 Kim Rothwell Leadership in Logistics Education Award. We wanted to recognize Mr. Slater not only for his work as a consultant and author in spare parts and inventory management but also for his contributions as a leader in the application of digital technology to supply chain and inventory management issues and solutions. Phillip is clearly a global knowledge leader in this field, however, it was his hands on approach and willingness to tailor his services to suit our four Australasian manufacturing sites which ultimately delivered a successful outcome. A multi-million dollar reduction in inventory was achieved without impact on availability and at the same time ‘best in class’ processes were established to ensure that this benefit is held into the future. 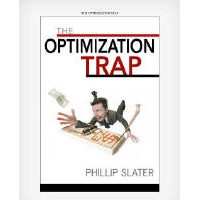 I would recommend Phillip Slater to anyone looking to achieve genuine, and lasting, inventory reduction results. Phillip was a great asset to the company putting the spotlight on the rather murky depths of spare parts inventory. He did a great job of challenging the current thinking and encouraging people tp think or better more efficient ways of viewing sapre parts inventory. Under Phill’s guidance the site achieved great results and implemented some very robust processes to ensure that these results were maintained. 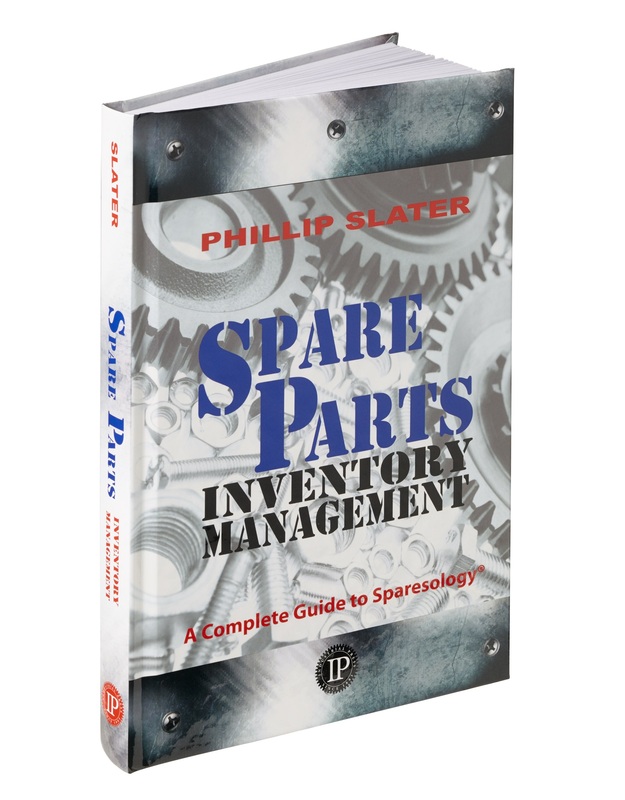 Phillip Slater’s online training program helped my team to better understand the complexities of spare parts management, the application of policies, and the importance of maintenance engagement. Phillip’s presentation style made the online sessions enjoyable and the use of webcams and webcast technology mean that our staff could attend the training even when they were off shift. We would recommend Phillip for anyone looking to expand their understanding and skills with spare parts management. Phillip Slater’s boot camp provided all of us with hand on experience in techniques and tools to use to consistently identify and better manage spare parts inventory. Phillip Slater is Australia’s leading authority on optimizing the inventory process. I have had an opportunity to work with Phillip developing inventory management policies for RasGas. It was a wonderful opportunity to work with an expert in supply chain management. All the questions, interview and the way we arrived at the optimal solution was spot-on. Phillip’s knowledge in various areas of supply chain is amazing. He could simply figure out ten steps ahead and guided us achieving what were trying to do. Phillip managed the session with unparalleled attention to detail and focus to the objectives. He made sure that everyone in the room felt that they arrived at the solution. Should there be any requirement, i will not hesitate to seek Phillip’s help. I wish him all the best and hope to work with him again. Phillip and his website www.SparePartsKnowHow.com has been a great resource for me and my team. We have enjoyed his insight and years of experience to help guide activities and streamline our business to become an efficient spare parts operation that supports maintenance and engineers. While our team has years of experience and has documented best practices, it is good to know we were correct about many aspects and SPKH reinforced our resolve. Another great thing about Phillip is his availability. He always answers emails and periodically provides interactive conference sessions. If you manage MRO materials, you should subscribe to SPKH right away. You can thank me later. Phillip Slater is a dynamic, hard-working inventory management specialist with a particular focus on engineering spares. His recommendations are sound and his advice is highly sought after by all members of the team. He came on board our team with an arsenal of tools that helped us to develop an inventory management project that has seen tremendous results. The focus was on finding the right mix of inventory and training our personnel, and it was completed in short order. The strategy that was developed is not a one-size fits all approach, or a recommendation of another software program, but a behavioral based program that is clear and immediately actionable. I have worked in the airline industry for many years and lived through the traps that are described herein. Aircraft parts are extraordinarily expensive, so mismanagement of inventory can easily cripple an operation. Phillip presents the philosophy of real inventory optimization in a clear, logical and pragmatic manner, so that everyone in the materials management chain can understand and be part of the process. Following the steps he has detailed will certainly give a continuing competitive advantage to any aircraft operator, which could be the tipping point for flourishing, when others are just surviving in this extremely volatile and cutthroat industry. I wish I had read this book years ago! Phillip is the leading authority on spares inventory management and optimization. I have used his consultancy services with great success in reviewing the critical spares strategy for a recently completed hospital project. I would have no hesitation in recommending Phillip to any organization that is considering reviewing and improving their spares / inventory strategy. The fact that Phillip took the time to listen to our needs and ask pertinent questions in preparation for our company made all the difference. Phillip takes a common sense approach to one of maintenance and engineering’s least understood topics. He dispels some of the commonly held myths and gives real life examples of how to optimize your spare parts management – essential reading for those who want their spare parts system to support their reliability initiatives. Phill is a very knowledgeable and experienced materials management practitioner. He brings a wealth of first hand experience and most importantly in my opinion, practical application, to the table. He is very approachable and from my experience was quick to digest the dynamics at play within the organization and set a path for forward progression. Smart Inventory Solutions is packed with practical ideas on how to improve management of inventory “The Forgotten Investment!”. The book not only provides enlightening concepts but also a “How to” approach for accomplishing tasks. Philip Slater makes eloquent arguments for the important role that inventory needs to play in today’s competitive environment. With this Second Edition, Phillip Slater just made a great book better. Smart Inventory Solutions is a thoughtful and practical guide to an important subject by an experienced veteran. This book is simply the single most practical, most useful book on inventory management I have found; it should on every manager’s bookshelf. This is a well-written, practical book. Phill Slater speaks from experience, and shows that critical inventory scrutiny will bring real bottom line savings. His message is very relevant to our studies, and I will be recommending this book to our students. Phillip Slater is a recognized leader in his field and has developed a proven system for reviewing and rationalising spares. 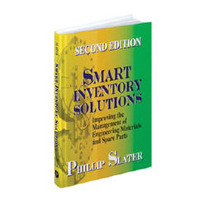 Smart Inventory Solutions is insightful, practical, and sometimes controversial and I thoroughly recommend this book to anyone that has an interest in reducing their materials and spare parts investment or who just wants to improve their materials and spares parts management. Phillip Slater’s program was both insightful and pragmatic. The well structured program’s focus on matters of practical significance and of immediate importance combined with sound post training support, enabled my team to adopt the concepts quickly and effectively. Through the ongoing support, and the ability to integrate and work seamlessly, almost as a part of my team, Phillip Slater was able to effect the changes that we needed. Phillip Slater’s combination of manufacturing insight and approachable style helped us identify new opportunities and solutions for our key issues. The 10 Steps workshop provided an injection of new thinking and helped my team to identify 50 new opportunities. The follow up support helped my senior management work through the options for change. The support activity is an invaluable part of the process. Phillip Slater understood our needs, challenged our assumptions and did not mince words or tailor the content of the report to meet our preconceptions. Initiate Action’s ability to learn, understand and administer our warranty program was exactly what we needed. Their professional manner allowed a seamless integration with our team. They were able to successfully instigate a training program to re-instate our warranty program in-house with ongoing management and control by our staff. The day reinforced the goals of the company and provided the training and tools to achieve the inventory reduction program set by the company. Thank you for an enjoyable day. This workshop is full of facts and up to date information. Excellent!! The workshop is held in a very relaxed and friendly manner and everyone was positive. I thoroughly enjoyed the day and found that I got what I wanted form all the information. I don’t think that this course can be improved! For me the best part was the detail of information given and the examples of other businesses. A very good course that is very appropriate to my needs. Schneider Electric (Aust) Pty Ltd. This workshop covered my expectation and a bit more! What I got out of this workshop is a readiness to implement the learning outcomes. This was an excellent day, program and workshop. I particularly valued the real world nature of the workshop. The content is very relevant. I will be following up on my notes and implementing actions next week. Everyone was interested in what was being taught so there was great interaction and involvement of the people. I will be adopting the process in our workplace. The process provides a logical approach for effective inventory reduction. The content was simple and action oriented. The best parts were teaching how to achieve goals and the interaction with other people seeking the same goals! I will use this knowledge/skill to reduce our company’s inventory level. This program has made the task of reducing inventory less daunting. Five out of five for both content and delivery! I really liked the pace of the workshop and the group size allowed for discussion. The presentation style allowed for plenty of interaction and the ability to capture ideas along the way. This workshop provides a clear process for identifying opportunities and reducing inventory. This workshop was very practical and showed some very simple and easily implemented ideas. This was a great day and has given some definite ways that can change the focus of our inventory management. The knowledge that Phill was able to share with us was terrific. I also liked the ‘hands on’ approach. The content and topics covered were great, I really feel that I learnt a lot. Thanks for a great day. When you read this book you are almost certain to come up with at least one good idea which when applied helps improve some aspect of your business. Perhaps you can implement the entire concept of continually reviewing your operations to find more areas to improve. 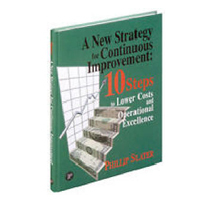 A New Strategy for Continuous Improvement is well written, practical to apply, easy to follow and full of examples. You have developed an approach to physically reviewing inventory, not just a reference manual on the way things should have been from the beginning.